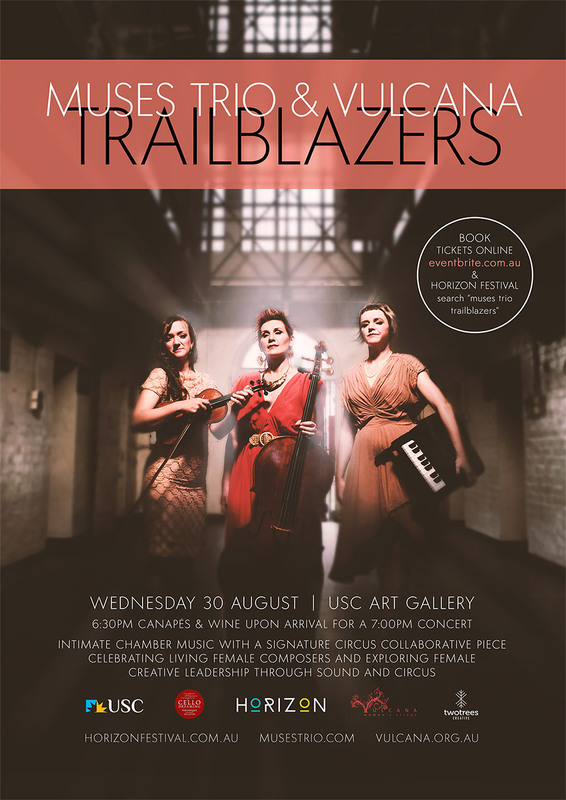 Trailblazers with Muses Trio and Vulcana Women’s Circus, an intimate chamber music concert with a signature circus collaborative piece. Muses Trio with guest circus artists Bianca Mackail and Mayu Muto, directed by Celia White AD of Vulcana Women’s Circus offers adventurous audiences a secret glimpse into the current lives and processes of women in the current classical music industry. Experience a chamber music concert with a signature circus piece – the beginning of an exciting new show between Muses Trio and Vulcana Women’s Circus.